When you need an experienced and trustworthy company to clean your home, you need look no further than Homestead Maid Services. 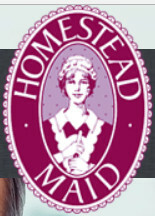 We are well-known for bringing home owners the best quality maid service Toronto has to offer. A clean home is healthier and happier for your family. Whether you need general Toronto house cleaning services for your bathrooms, kitchen or living areas, or need a 1-time, deep cleaning service for your windows, closets, or laundry, you can trust our staff to thoroughly clean your home so it is healthy and safe.